I've written about this plenty of times before, but strolling the trail to Kehoe Beach while the wildflowers are blooming in Point Reyes National Seashore is sight to behold. 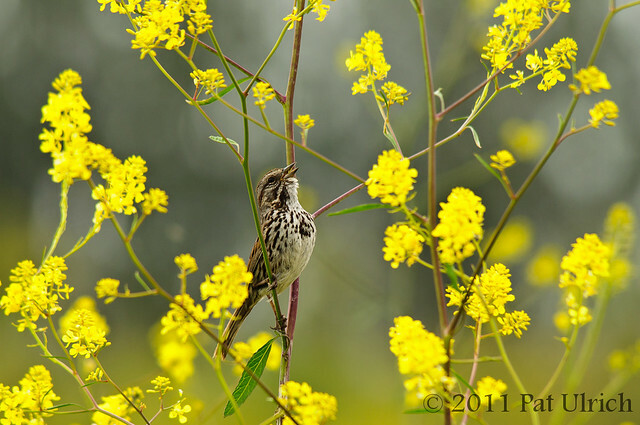 The air is thick with their sweet aromas, and the birds are abundant among the blooms. 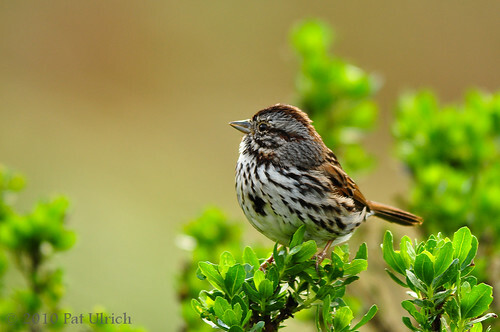 On my summer trip last year, I walked this trail almost daily looking for opportunities to photograph song birds as they bounced about the branches. 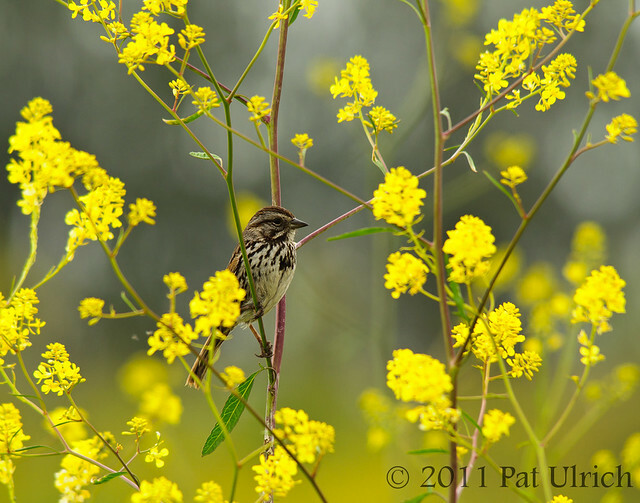 The dominant color along the trail was yellow, and this song sparrow perched on a yellow bush lupine with wild mustard behind. 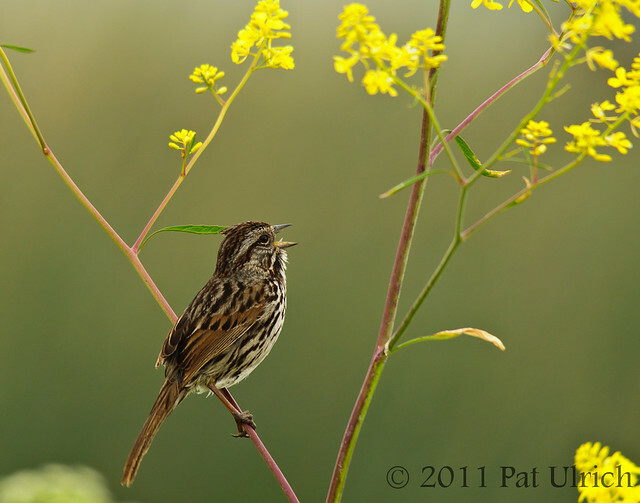 View more of my photographs of sparrows and other song birds. 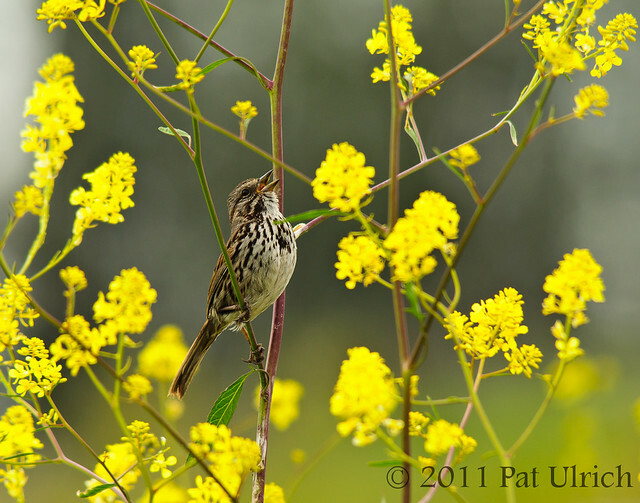 A song sparrow singing in the yellow wildflowers that line the ponds of the Ellis Creek Water Recycling Facility in the spring. 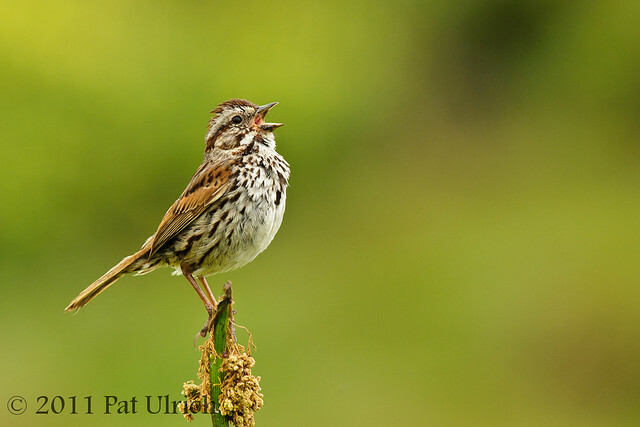 Here it is singing in the other direction, I suppose just to ensure that everyone heard the song. 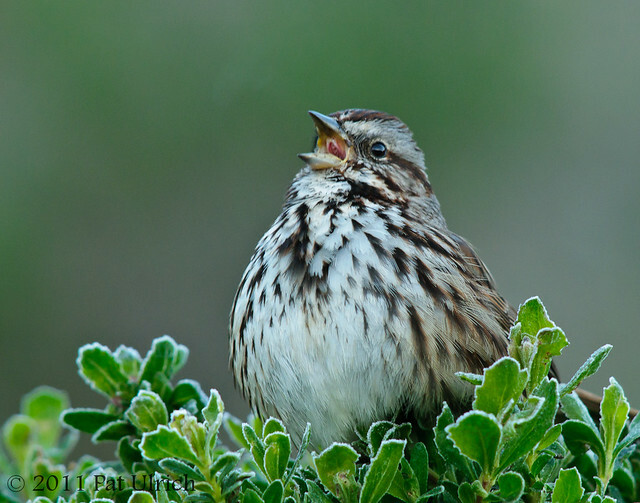 See more singing sparrows in my Song Birds Gallery. 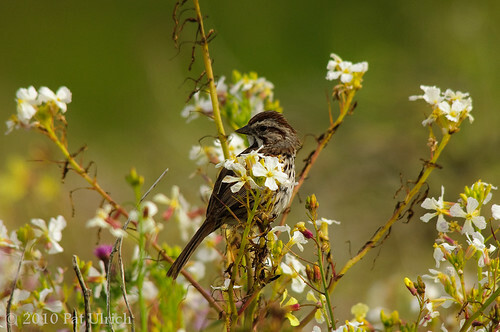 On my last trip to Point Reyes National Seashore, I walked the trail to Kehoe Beach in hopes of finding some song birds in the wildflowers that grow very thick all along the trail. 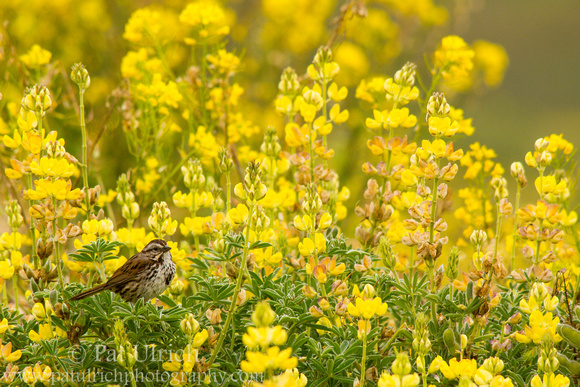 Near the dues, I got distracted by some of the wildflowers and focused on making floral compositions. 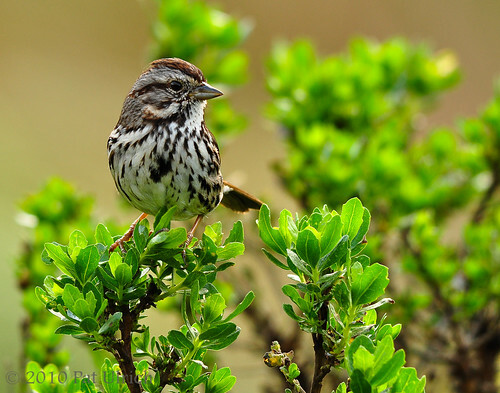 At one point, my concentration on the blooms was broken by a very loud melody of a song sparrow, and I looked up found this bird perched quite close (closer than any of the other sparrows I saw that day!). 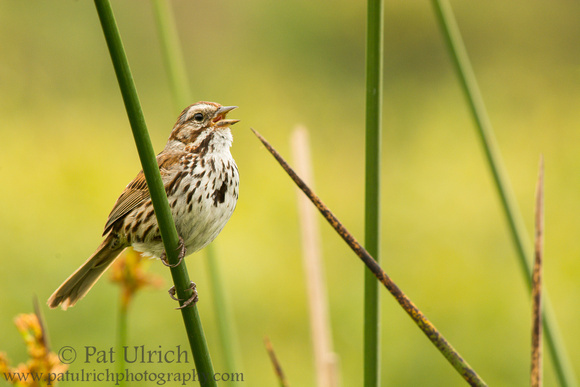 So I swung the lens around and fired off a few frames as it sung the next chorus of its song. 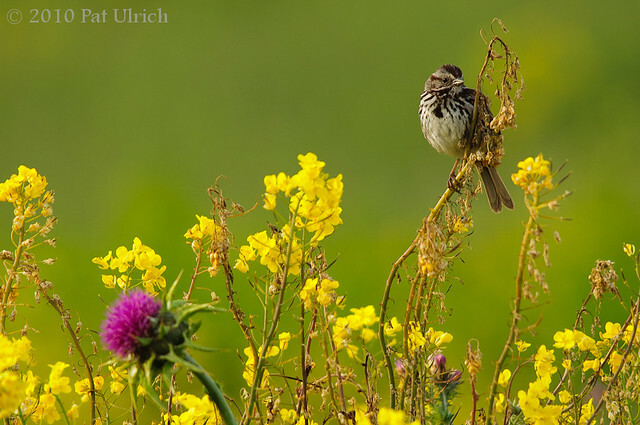 There are many more Yosemite landscapes waiting to be processed, but for today I'll switch back to wildlife with a song sparrow singing in the yellow wildflowers that line the ponds at Ellis Creek Water Recycling Facility in Petaluma, CA. Taking a moment to catch it's breath in between solos on the wildflower stage. 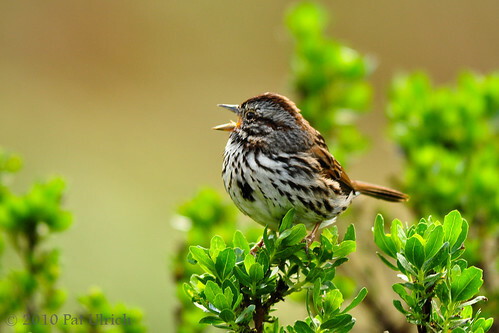 Back to belting out that wonderful spring song! 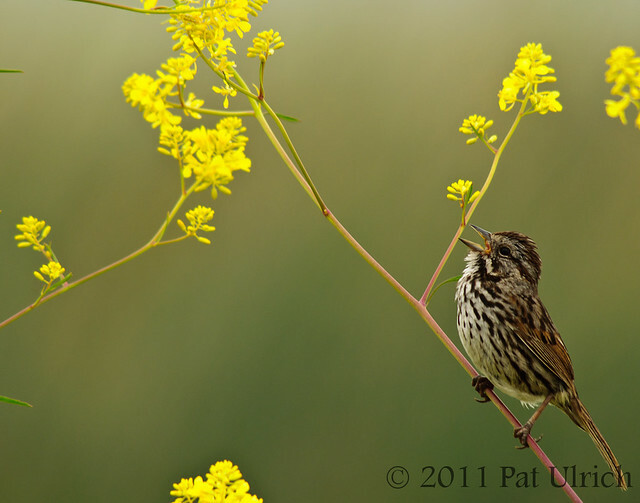 Visit my Song Birds Gallery. 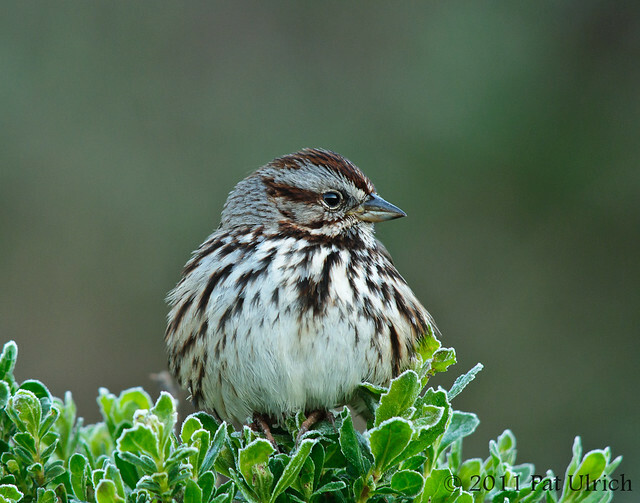 With the extra cold weather this weekend in the Bay Area, I figured I'd take a walk in Tennessee Valley with the hope of seeing some wildlife in the frosted meadows. 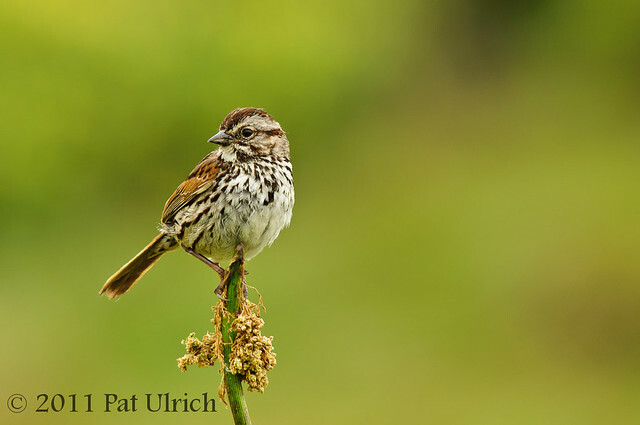 Unfortunately, nothing was stirring in the early morning light except for some sparrows along the trail. Perhaps it was singing about how cold its feet were! 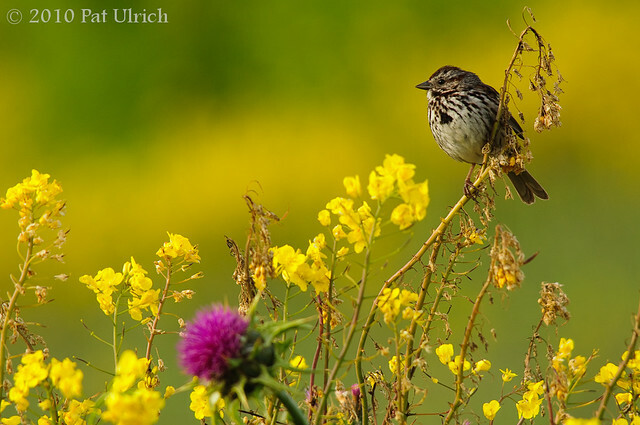 A song sparrow perched among the wildflowers on a walk to Kehoe Beach in Point Reyes National Seashore. 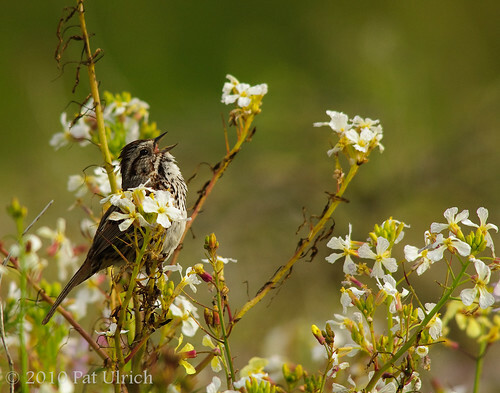 This was taken on the same hike through the flowers as was the white-crowned sparrow I posted last week. 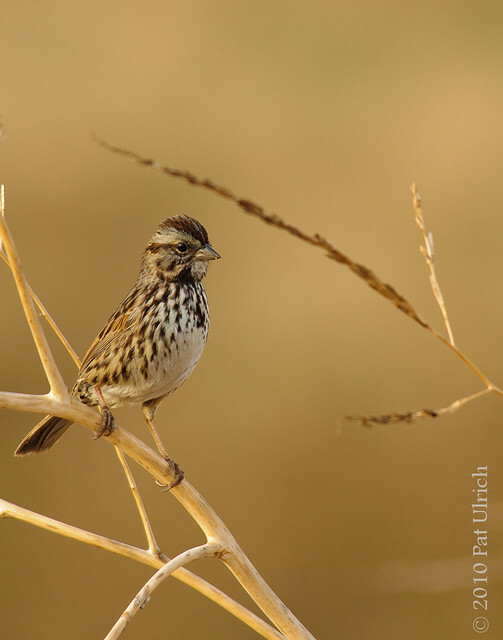 On one of my unsuccesful bobcat finding trips in February, my consolation prize was this lovely sparrow singing along the trail on the way out.